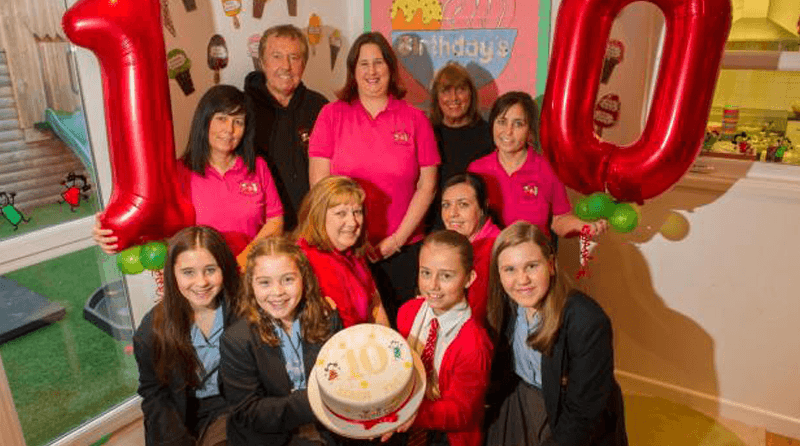 Seren Fach nursery in Ponthir, South Wales, has celebrated its 10th anniversary of opening this week with some very special guests. As part of the celebrations, the nursery invited back 5 of its first ever children (now aged 10 and 11) for a party. All of the children also received gifts. Deputy Nursery Manager, Becky Bennett, said that it was lovely to see the babies who first came to the nursery come back once more, and that it was wonderful to see how they’ve all grown over the past decade. She also thanked all the staff and families who have supported the nursery over the years. Two of the staff who work at the nursery have also celebrated being with the nursery since it first opened, as well as one staff member, Linda James, who celebrated being with Seren Fach since it was an after-school club over 15 years ago.